Anyone who is a devoted Bollywood fan knows the name Kapoor. The eminent Kapoor clan is considered to be one of the most powerful dynasties in the Bombay film industry. They are a dynasty which is full of talent and over the past eighty years, their cinematic presence has been seen by generations of audiences. The majority of the actors and actresses to have emerged from the Kapoor family have had immensely successful careers and have starred in some of the finest films India has produced. They have had the privilege of working with some of the greatest directors and production houses in the country. It can be asserted with confidence that Bollywood is not complete without the presence of at least one Kapoor figure within the industry! We now take a look into the history of the Kapoor khandaan(family) and how their contribution to films has made them widely acknowledged as the first and most important family of Indian cinema. The history of the Kapoors can be traced back to the legacy of a towering figure named Prithviraj Kapoor (1906-1972). 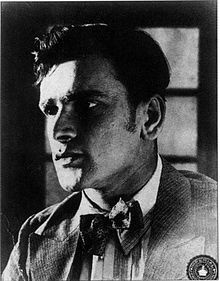 Born in Lyallpur in British India, Prithviraj moved to Bombay in the late 1920s and made his debut with the silent film Do Dhaari Talwaar (1929). He rose to prominence with the release of Cinema Girl (1930). In addition to films, Prithviraj was a top theatre actor and his success within this field of entertainment enabled him to launch his own theatre company in 1944 titled Prithvi Theatres. Following India’s independence and partition, Prithviraj took on a number of supporting roles from the 1950s onwards. His two most memorable performances at a time when Indian cinema had entered its ‘golden era’ were in Awaara (1951) opposite his son Raj Kapoor and in K. Asif’s magnum opus Mughal-E-Azam (1960). They are both considered to be significant films by Indian and South Asian audiences and Prithviraj’s presence and performances in these films contributed to their overall success. Mughal-E-Azam is most certainly one of the best Prithviraj Kapoor films a person will see, where he projected a great deal of authority and stubbornness as the Mughal Emperor Akbar. He played this overly challenging role with ease and skill, which substantiates why he is referred to by many as one of the great early actors to have emerged from Indian cinema. Although Prithviraj set the ball rolling for the expansion of the Kapoors, it was really the huge success of his son Raj Kapoor (1924-1988) which helped to reinforce the position of the dynasty within the industry. Furthermore, Raj’s accomplishments gave future Kapoors the screen space which they would require by other filmmakers in order to be appreciated as actors. 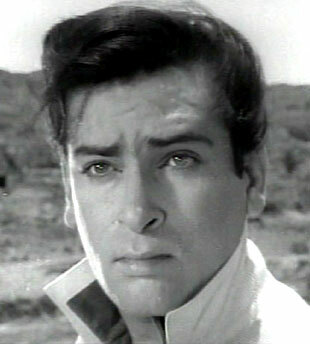 Born in Peshawar, Raj made his debut as a leading man in the film Neel Kamal (1947). Subsequently, he starred in, produced and directed the film Aag (1948) under his newly launched production company R.K. Films. This was the first of many films which Raj would star alongside the brilliant actress Nargis. Together, they displayed electrifying on- screen chemistry and went on to deliver successful films both within R.K. Films and outside of it. This included Andaz (1949), Barsaat (1949), Awaara and Shree 420 (1955). In addition, the latter two films contributed to Raj being labelled as ‘the Great Showman’ and the comedic segments of his performances in these and his many other films has led to a number of people referring to him as India’s equivalent to Charlie Chaplin. Raj was a charismatic and witty actor who demonstrated much needed versatility within a post-independent society. This was due to his robust professionalism and he fully lived up to the many demands which his roles required in order to leave a lasting impression on the mass audience. Raj is still considered to be one of the most prolific actors India has produced. He managed to carve his own niche at a time when Dilip Kumar was stirring the audience with his tragic characters and Dev Anand was spellbinding women with his charming and highly masculine roles. His performances stay with you for a long time and he is one of the most authentic and entertaining actors an Indian film fan will ever come across! As a director, Raj was instrumental in giving his films the style and setting they needed in order to keep pace with modernity. This is apparent when you watch films like Awaara, Sangam (1964) and Bobby (1973), which contains remarkable storylines, locations and musical scores. The scholar Vijay Mishra argues that as a director “Raj reshaped the representation of the secular goddess for many Indian viewers. He would ensure that the camera performed a subjective function and that it constructed leading actresses like Nargis as an ‘object of desire’.” In addition, Raj was one of the first Indian directors to have a large international impact. A number of his films achieved popularity in areas such as the former USSR, South East Asia and Europe also. 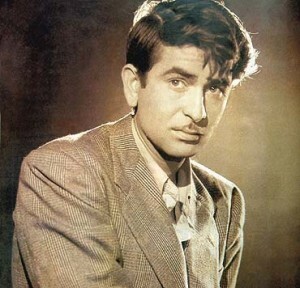 Later directors such as Yash Chopra have cited Raj Kapoor as one of their inspirational figures when it comes to filmmaking. This example alone demonstrates the cinematic effect which he had during his active years in Hindi cinema. As actor-director-producer, Raj was able to multitask at a very efficient level and ensured that his films would provide fans with value for money. This is why many of his films remain classics today and they are watched over again and again by people due to their exquisite and everlasting commercial quality. Therefore, without Raj, the Kapoor clan’s position within the film industry may not have been as concrete as it is today. Alongside Raj, his brothers Shammi Kapoor (1931-2011) and Shashi Kapoor (1938- ) slowly attained the stardom they were craving for. Shammi brought a strong modern zest to Bollywood films, with his rock-and-roll image and the wacky personalities which he conveyed on screen. This has led to many referring to him as the ‘Elvis Presley of India’ and unquestionably, Shammi definitely embodied this particular designation. Many will agree if they watch films like Junglee (1961) and Teesri Manzil (1966), where Shammi provided some truly sensational and entertaining performances which sustain audience interest. 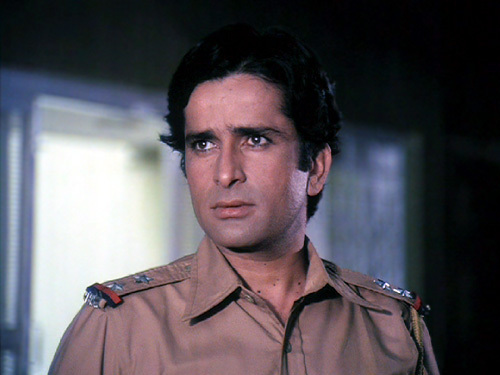 Although Shashi gave some memorable performances as a leading actor in films like Jab Jab Phool Khile (1965), he had an even greater impact as a supporting actor. This is especially the case with the films he starred alongside his contemporary Amitabh Bachchan which includes Deewaar (1975) and Shaan (1980). Shashi holds the distinction of being one of the first Bollywood actors to star in English language films, especially under Merchant Ivory Productions. Both Shammi and Shashi have become unforgettable actors and they continue to be remembered for the alternative forms of acting which they showcased during their time in the Bombay film industry. Following the box office failure of Mera Naam Joker (1970), which many consider to be a brilliant classic film now, Raj Kapoor could not afford to take any major risks and had to make a film which contained a simplistic yet captivating narrative. The release of Bobby (1973) witnessed the launch of his son Rishi Kapoor (1952- ) as a leading protagonist and opened to a phenomenal response. Rishi was radically young in this film as was his co-star Dimple Kapadia. However, this did not prevent the audience from enjoying their great romantic interactions and intense performances. Rishi went onto become one of the defining actors of the 1970s and 1980s and the way in which he serenaded his female co-stars such as Neetu Singh (his real life wife), Padmini Kolhapur and Sridevi was much appreciated. His successful career enhanced the Kapoor family’s image and added to their already existing popularity. Rishi has also set a fine example for current and future actors by demonstrating that hard work and dedication is required in order to be a successful commercial actor. Coming from a ‘filmi’ or affluent background is not enough to win the audiences’ hearts. This is probably an obvious saying but success is never handed to someone on a plate! It is something which a person has to work for, regardless of who they may be. 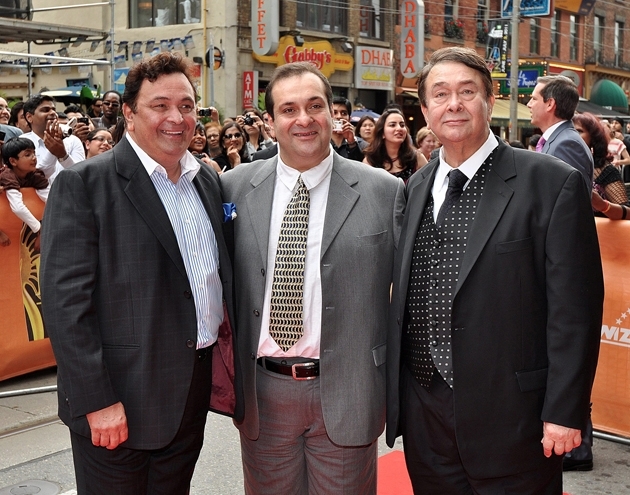 Both of Rishi’s brothers Randhir Kapoor (1945- ) and Rajiv Kapoor (1960- ) did try to establish themselves as leading actors in Hindi cinema. Unfortunately, they never managed to secure the similar success which Rishi managed to do so. This is despite the fact that Randhir did have some minor success during his early phase as actor-director and has recently starred in successful films such as the Housefull (2010, 2012) series. For over sixty years, the Bombay film industry was dominated with only male actors from the Kapoor fraternity. This however all changed in 1991 when Karisma Kapoor (1974- ) became the first female from the dynasty to enter the industry and made her debut in Prem Qaidi (1991). She went on to become one of the most successful actresses of the nineties and dished out memorable hits such as Raja Hindustani (1996) and Dil To Pagal Hai (1997). Citing Meena Kumari as one of her major influences, this is definitely visible in some of Karisma’s performances like in Fiza (2000) or Zubeidaa (2001), where she released a lot of emotion and sorrow through her characters. She has recently made a comeback with the film Dangerous Ishhq (2012) after having taken a sabbatical from acting. The emergence of the twenty-first century saw another female Kapoor enter the Bollywood scene with the debut of Kareena Kapoor (1980- ) in the film Refugee (2000). With the exception of Kabhi Khushi Kabhie Gham (2001), Kareena initially did not have many box office hits and struggled to prove herself to the mass audience, as did Karisma during her early years. However, this all changed for Kareena following the release of Chameli (2004), where she delivered a very strong performance in her role as a prostitute and won a lot of critical acclaim for it. 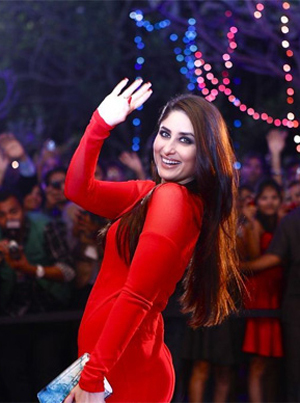 Since then, Kareena has established herself as one of the top actresses in Bollywood today and continues to impress the audience with an assortment of performances. After the decline of Rishi Kapoor in the 1990s, India had not seen a male Kapoor actor for a number of years. This finally ended following the debut of Rishi’s son Ranbir Kapoor (1982- ) in Sanjay Leela Bhansali’s Saawariya (2007). Having struggled at first, Ranbir is today considered one of the top male actors in the industry and has proven his capabilities as an actor in films like Wake up Sid! (2009) Rockstar (2011), which bagged him numerous awards and critical praise. He has brought an invigorating and distinctive style, personality and image for the modern audience. This is especially after most of them have seen Shahrukh Khan, Aamir Khan and Salman Khan dominating the screen for over twenty years. Ranbir has taken on a number of unconventional roles so far in his career and he is not afraid of getting under the skin of challenging characters. This is perhaps why he has rocketed to stardom, as he has been able to successfully distinguish himself from other actors. Karisma, Kareena and Ranbir have all significantly enhanced the reputation of the Kapoor family in an era of globalization. They have various opportunities to take advantage of modern advertising, television projects and new media technologies in order to promote themselves and their upcoming projects: something which previous Kapoors were unable to do. The Kapoors deserve immense credit for maintaining professionalism to the highest extent. They have offered the audience an opportunity to escape from reality for a while with their distinctive films and aesthetic characters. Each of them has brought a different flavour to the screen which has significantly enabled them to stand out from one another. This is perhaps why they continue to be prominent today and are highly regarded as a central and most revered dynasty of the Bollywood film industry.